LEGALISING hemp for food production would profit the North Coast agriculture industry more than any other region in the country, and legislators from all sides of the political fray are eager to get seeds in the ground. As of this month there are 30 industrial hemp licences and 19 active growers in the state with the majority on the North Coast, a New South Wales parliamentary research paper has revealed. 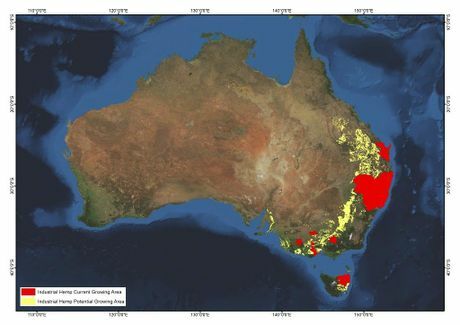 Planting has been approved for 45 localities across the state, of which 21 are in the Richmond-Tweed region, seven in the Hunter Valley, the rest scattered along regional coastlines, including Coffs-Clarence. But crop sizes remain dismally small when compared to overseas - in 2014-15, industrial hemp made up only 0.006% (388ha) of total summer and winter crops planted in NSW. "The slow take-up of industrial hemp by Australian producers has been attributed in part to the ban on human consumption of hemp seed in Australia and New Zealand," parliamentary researcher Daniel Montoya wrote. 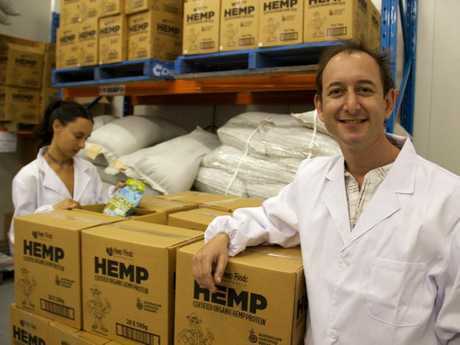 It is a problem Hemp Foods Australia finance manager Felipe Favaro hopes will soon be rectified. "There are plenty of farmers looking to grow hemp in this area," he said. "The only issue for us will be finding organic certified growers, because they are the only ones we work with. "If you've grown conventional crops for a long time, using pesticides and chemicals, there is a transition period - about a two-year turnaround. "You can't use any conventional products during that time. "Therefore you have a lower yield for the two years until you can get certification." 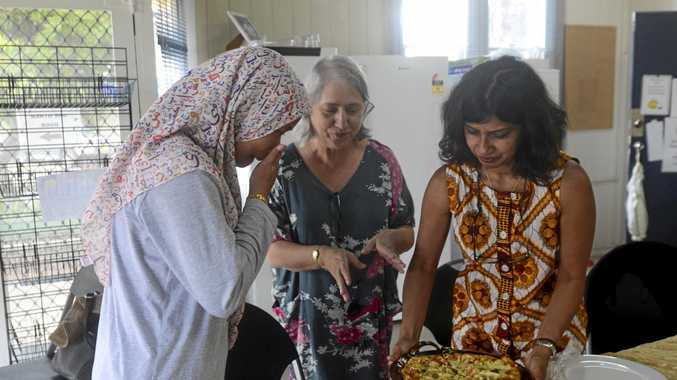 The Bangalow-based business already exports to Japan and Korea, with plans underway to move into the thriving United States market this year. Nationals Clarence State MP Chris Gulaptis said the North Coast was ideally placed to capitalise on the growing international appetite for hemp products. "Clearly there are a multitude of benefits of using hemp - it's more than just that image of a dope smoker up on the North Coast," he said. "Now we have to start looking at the positives of having a new sustainable agricultural industry - especially one with potential for export opportunities. "We've got great growing conditions and we have a university in Lismore, so we can undertake all sorts of scientific research and be at the forefront. "Rather than being labelled as the pot-smoking North Coast, we need to move ahead and see how clever we can be using this age-old agricultural product to benefit society and mankind." Greens Ballina State MP Tamara Smith said Australia's current $13 million hemp industry could quadruple within a year if food production was legalised. "I have also spoken to local cane farmers who say they would be interested in growing hemp as part of a rotational crop system with sugar cane," she said. The crop can produce more than just food and clothes - car parts, paper and building materials have all been created using industrial hemp. Byron Shire mayor Simon Richardson said there was no shortage of farmers waiting for the law to change so they could commit to growing a new product. Until they are able to sell seeds as food, their profit margins will remain dangerously low. "I'm aware of one hemp plot already taking place in Byron Shire," he said. "As a crop, it suits this region beautifully with our high rainfall. "Farmers are looking for new and innovative crops to value-add to their land and to get away from some traditional crops that increasingly are not meeting their needs." One roadblock remains until current bans on producing hemp for food can be lifted. Food Standards Australia New Zealand recommended in December 2014 that rules be amended to allow low-THC hemp seed production for human consumption. THC is the psychoactive ingredient of marijuana. However, the Australia and New Zealand Ministerial Forum on Food Regulation rejected the proposal, citing four information gaps. Studies are currently under way to test the impact of low-THC hemp foods on roadside and other drug testing, the marketing and advertising of hemp food, legal and treaty issues and the cannabinoids such as THC found in cannabis. Nationals Page Federal MP Kevin Hogan said he fully supported the hemp seed production, but needed to be assured eating the plant would not trigger positive drug test readings. "On the North Coast we have the perfect conditions to support this industry," he said. "However, we must first work through the concerns held by the NSW police." Labor's Richmond Federal MP Justine Elliot hoped the reviews would result in hemp products being approved as a food. "Hemp is a legal food in most countries, including Europe, Canada and the United States," she said. "It is used in a range of foods including health bars, salad oils, non-dairy milk, non-dairy cheeses, and as an additive to baked goods."